A self-styled anti-bullying gaming group has imploded in spectacular fashion, just days after it announced itself to the world. 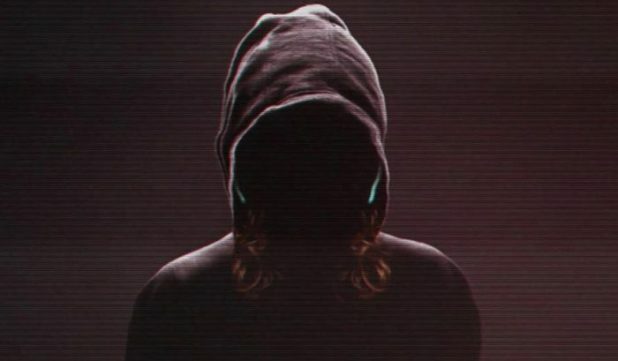 Last week, The Bully Hunters pitched itself as a vigilante hit squad of anonymous yet elite female gamers determined to end sexual harassment and abuse in CS:GO. It suggested that those experiencing harassment in CS:GO log into The Bully Hunters website using a Steam account to get matched with a hunter, who would then join the game in question, tapdance on the supposed bully’s face, then vanish, leaving behind a message about the importance of recycling, or something. The initiative was the product of America marketing firm FCB, and was fronted by streamer Natalie "ZombiUnicorn" Casanova. Vertagear, SteelSeries, CyberPowerPC, and nonprofit bodies like Diverse Gaming Coalition all expressed their support, and while no money exchanged hands, SteelSeries provided some headsets to the cause. The industry and gamers in general were quick to poke holes in the whole thing: it wasn’t clear how the hunters would determine who was bullying who, or how bullying bullies would solve anything. In addition, Casanova’s own history of “colourful” language (including some homophobia) was quickly brought to light. A live stream on Friday – which was both staged and pre-recorded, and which Kotaku describes in cringeworthy detail here – finished the whole thing off for good. Facing a huge backlash, sponsors pulled their support. Vertagear said it had been misled about the campaign. “The information that we received before the start of the campaign not only contradicted the execution of it, but we discovered after the fact that it was sorely lacking,” it wrote on Facebook. SteelSeries said the way Bully Hunters represented the gaming community via statistics during the not-live stream was “wrong and disingenuous”. The Diverse Gaming Coalition said Casanova’s past actions were part of the reason it was withdrawing support. “Various tweets show wrongdoing by host, Zombi Unicorn, which are actions that Diverse Gaming Coalition does not condone, although she was not solely to blame for the Bully Hunters initiative as a whole,” the statement reads. “After the live-stream, it seems that Bully Hunters is still an initiative they wish to keep pursuing. However, this initiative does not align with our mission and vision statement as a non-profit. Because of this, we are deciding as of now, we are dropping as a partner from the Bully Hunters initiative. On Friday, Casanova told Polygon that her homophobic remarks were made almost six years ago, and that more recent Twitter comments where she lashes out at particular people had been taken out of context. “If you take those tweets and you look at what I’m responding to, I’m responding to people who are harassing and trolling me, and treating me like crap,” Casanova said. She reiterated that the overall goal of The Bully Hunters was a noble one. “We obviously need it,” Casanova said. “Look at the fact that so many people are pretending like they’re tearing apart Bully Hunters because of the bad execution, and in the process are harassing me and multiple other people so badly. Today, FCB global chief communications officer Brandon Cooke told Polygon The Bully Hunters had been retired. “As this effort did not live up to our high standards, we decided to end this program, but hope the conversation it has raised around ending harassment in gaming continues,” Cooke said. Even so, the firm is looking for “new, more effective ways in the future to fight bullying in gaming and will share details on those when we are ready”. Over the past few days, Casanova has continued to defend the idea of The Bully Hunters, if not the execution, over on Twitter.